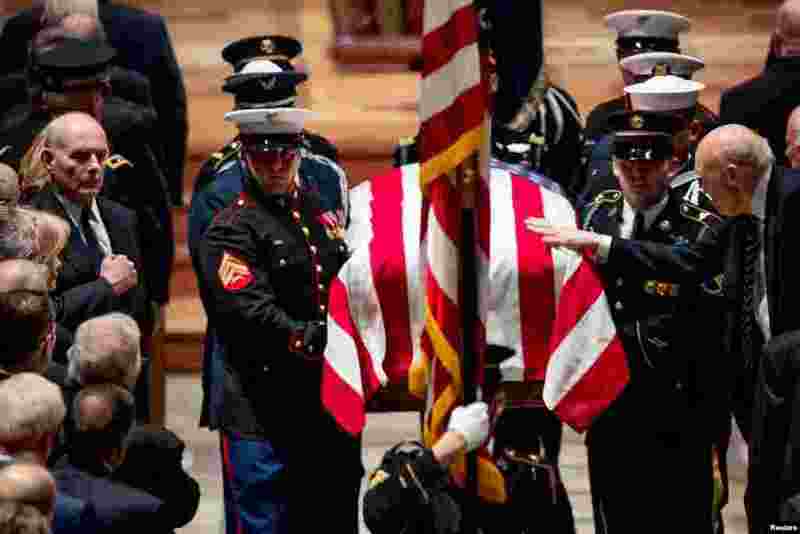 1 A U.S. military honor guard carries the flag-draped casket of former President George H.W. 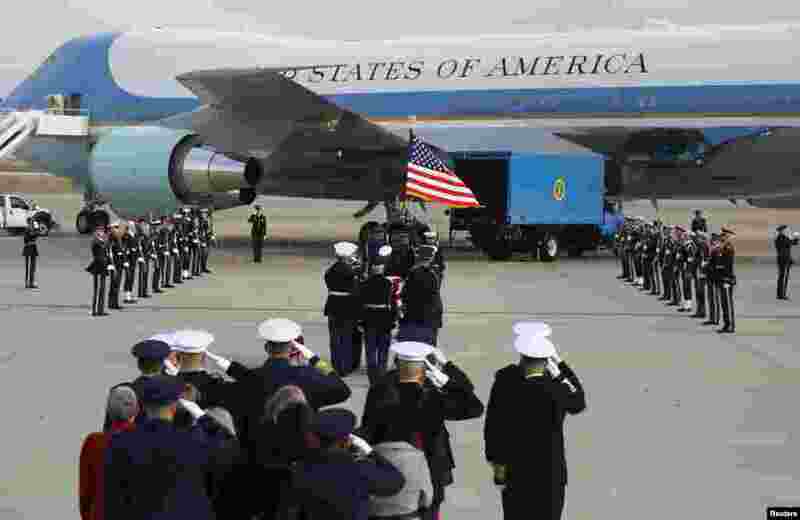 Bush to "Special Air Mission 41," one of the Air Force One planes flown by President Bush when he was in office, to depart Washington for further services and burial in Texas from Joint Base Andrews, Maryland, Dec. 5, 2018. 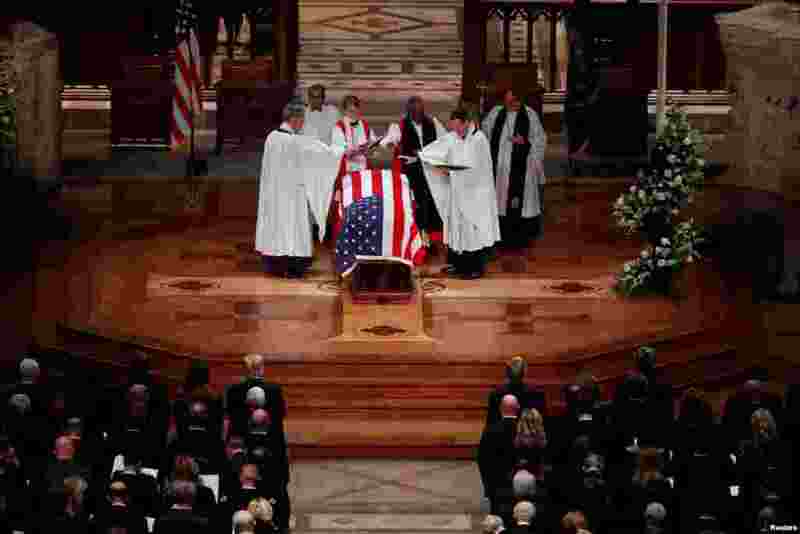 2 Former Sen. Alan Simpson (R-WY) touches the flag-draped casket of former President George H.W. Bush as it is carried out by a military honor guard during a State Funeral at the National Cathedral in Washington, Dec. 5, 2018. 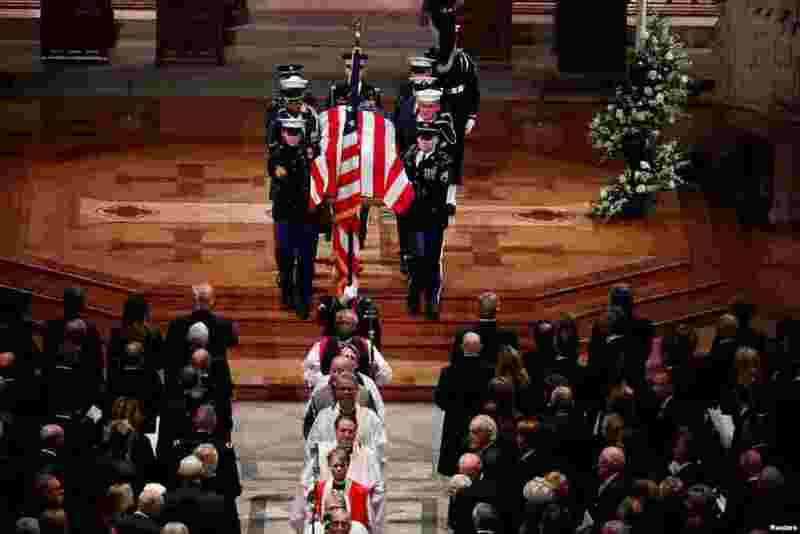 3 Members of the clergy and a military honor guard carrying the flag-draped casket depart at the conclusion of the state funeral for former President George H.W. Bush in the Washington National Cathedral, Dec. 5, 2018. 4 Members of the clergy bless the flag-draped casket of former President George H.W. Bush at the conclusion of his state funeral in the Washington National Cathedral in Washington, Dec. 5, 2018.